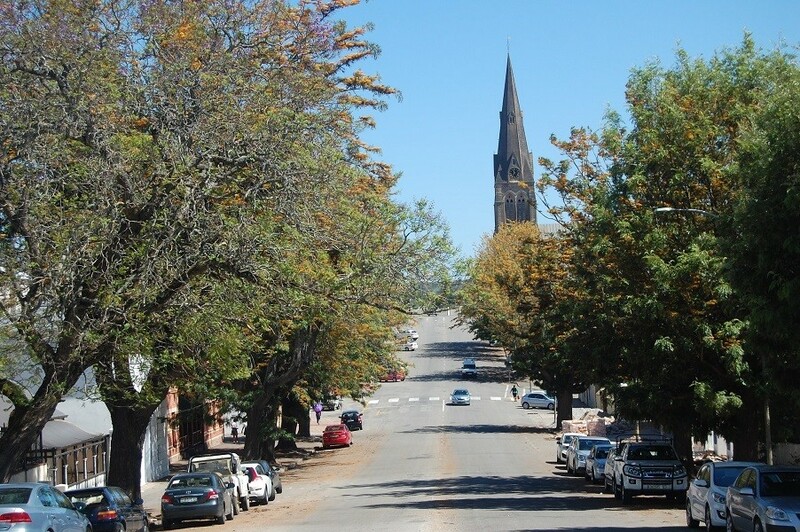 Grahamstown is drenched in history. Prehistory, pre-colonial history, post-colonial history and natural history. Even small moments of history in the making. As a heritage city, we are every history lover’s dream. Our past is an integral feature of our present: our yesterdays wrap themselves around our todays and time, indeed, is elsewhere. When wind driven rain lashes the old Victorian buildings on a street emptied of cars and people, I am transfixed. I stand staring at wide Bathurst Street, imagining it in its pre-macadamised glory – a street of mud, punctuated by carriages, carts and wagons driven by sodden beasts of burden, stung by needles of rain. At such times, one realises that this was a tough line of country in which to settle – this pretty, elliptical valley, set in wildly beautiful terrain and at the confluence of four climatic zones! Prior to global warming and the challenges of the Age Of Climate, Grahamstown’s weather has always been legendary. The proverbial ‘four seasons in one day’ is a daily reality. One learns to dress in layers, which will be stripped from or added to one’s attire, in accordance with micro-climatic fluctuations. It is part of our city’s idiosyncratic charm. Here – we do ‘weather’! Yesterday, the sun yawned lazy warm golden light in the morning. A glorious Eastern Cape day. We hung our laundry on the lines, the children ran amok in the garden. The cats found selected spots in the shade, swimming pools were splashed in. My sisters and I were lightly clad in summer dresses, loving the joy of walking barefoot on the lawn. Music filled the air and there was talk of maybe having a sunset braaivleis/barbecue in the garden. Given our famous weather, we decided to decide later. I repaired to my desk and set off to do errands after lunch. It was hot but I took the precaution of taking a cardigan in my “All Purpose, Prepared For All Eventualities” tote bag. The afternoon’s business was, on the whole, rather exacting. I arrived in High Street, hot and sweaty and attacked my bureaucratic tasks first. Administration in any form, especially in provincial quasi-rural Southern Africa, absolutely is yours truly’s worst favourite past time. My sense of equilibrium is challenged by matters pertaining to forms and the accompanying, teeth grindingly, frustrating road show. To put it euphemistically. The thrills and spills thereof can drive anyone crazy! Happily, yesterday, these matters were time consuming, but convivial. There is a lot to be said for a timely mild tranquilizer prior to such engagements. Emerging from my first appointment, I noticed clouds and a cooler temperature. Rumours of rain and doubtless more. I whizzed through shops and the Library with alacrity, keeping chance encounters with friends short and sweet. Weather Change Alert is not to be trifled with. Nevertheless, the perverse heavens opened on my short route home. I entered my sanctuary soaked, freezing but thankful to not be clad in voluminous Victorian petticoats!